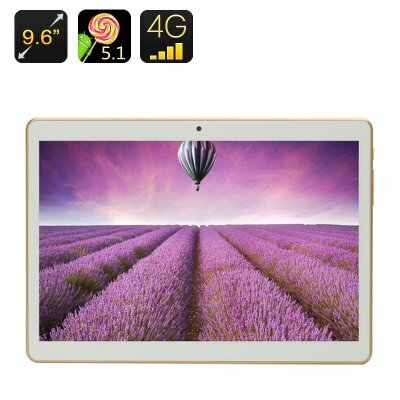 Successfully Added 4G Android Tablet PC - Dual SIM, 9.6 Inch HD IPS Display, MTK Quad Core CPU, 1GB RAM, Android 5.1, OTG to your Shopping Cart. This outstanding tablet PC brings you 4G connectivity and has 2 SIM card slots so you can enjoy super fast cellular connections on the go, which is more than enough to stream movies, watch HD TV or enjoy live video chats without the need for a Wi-Fi connection. The tablet has a large 9.6 inch IPS screen that offers up a 720 HD image so its superb for watching movies or some light gaming. With a quad core Mediatek CPU and 1GB of RAM it is more than adequate for your daily needs and can even make and receive calls. Android 5.1 let you make the most of this efficient tablet as I streamlines multitasking and offers plenty of security and customization in a friendly user interface, with 16GB of storage that can be expanded through the micro SD port you will have plenty of storage potions and OTG offers yet further potential as you can transfer files via a memory pen or connect peripherals like a mouse and keyboard. Having front and rear cameras lets you take photos or engage in video chats and the rear camera can even capture 720p videos so you can record and save all the fun moments of your day. 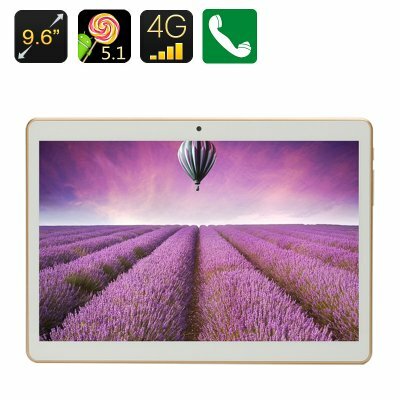 The extensive features make this affordable tablet great value for money so whether its for catching up on your TV drams as you embark on the daily commute or educating and entertaining the children this Android tablet PC has it covered. This 4G Android tablet comes with a 12 months warranty, brought to you by the leader in electronic devices as well as wholesale tablet PCs..